CLA Coupé (2019) and Jan Frodeno: In the wind tunnel. Those who know Ironman Jan Frodeno describe him as a perfectionist who looks for the tiniest technical advantage that could save him time. And in the complex triathlon world it is the cycling leg that is by far the most dependent on optimum technique – in particular on the aerodynamics of the cyclist and their bicycle. Dr Teddy Woll has also made this one of his main missions. 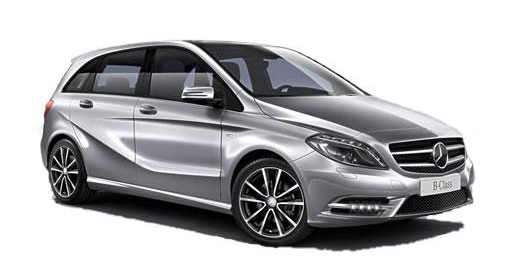 However, the Head of Aerodynamics at Mercedes-Benz is predominantly concerned about mobility that is as efficient as possible rather than world records or victories. 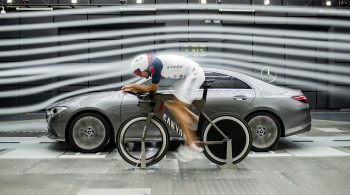 A meeting in the state-of-the-art wind tunnel at Mercedes-Benz in Sindelfingen.